In the Word, Nineveh is mentioned by name twenty-one times. While compared to cities such as Jerusalem (which is mentioned over 800 times), Nineveh is scarcely a blip on the map. However, it does still have its importance—both biblically and historically. Located on the banks of the Tigris river in modern day Iraq, Nineveh was positioned north-east of the kingdoms of Israel and Judah, some 550 miles from Jaffa, and comprised of around 1800-1900 acres. 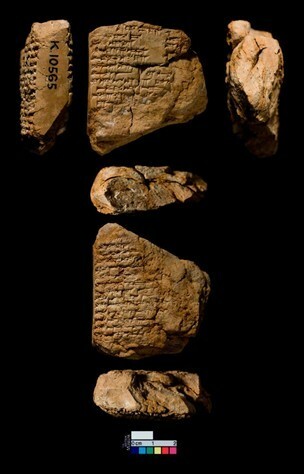 Founded by Nimrod, the great-grandson of Noah, as early as 6,000 B.C., Nineveh was an important city both politically and biblically (Genesis 10). First serving as part of Nimrod’s kingdom, Nineveh eventually became not only an important city to Assyria, but Assyria’s capital city when Sennacherib—perhaps one of the most well-known and powerful Assyrian kings—chose it after coming to power in 705-704 B.C. 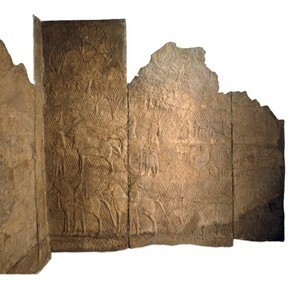 It was Sennacherib’s bid to create a legacy not attached to his father’s, not only because his father, Sargon II—creator of the Sargonid dynasty—had been exceptionally successful and therefore competition, but even more so because Sargon II had fallen in battle, a death considered ‘shameful’ and a believed punishment for sins against the gods. This was an association which the newly appointed king ruling over a cultish people would not have desired. 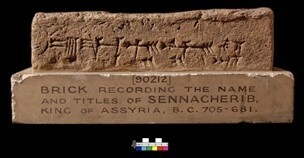 In addition to making Nineveh his capital city, Sennacherib expanded and enhanced the city. He began building bigger and better walls, a beautiful palace, irrigation systems, aqueducts, and other modern conveniences. And interestingly, he even began crafting gardens. In fact, many sources believe that the Hanging Gardens traditionally associated with Babylon, actually resided in Assyria’s capital of Nineveh and were created by Sennacherib himself! All of these improvements made Nineveh a display of wealth, splendor, power, and innovation. Yet, while Sennacherib did much to improve the city, the famous library of Nineveh did not fully come into being until Sennacherib’s grandson, Ashurbanipal, collected works from all over Mesopotamia, creating a library of over 30,000 works—primarily found in cuneiform. This increase, however, did not last, and finally, with the death of Ashurbanipal, the height of the Assyrian people came to an end… their glory fading as Ashurbanipal’s sons fought for power, and in 612 B.C., Nineveh was sacked and burned by the Babylonians, Persians, and Medes. During the majority of Nineveh’s existence, save for her early years and a short period of time after the city repented, Nineveh was a city largely devoted in worship to one of her many idols, the goddess Ishtar. Yet, in addition to the worship of the goddess Ishtar, they did not fail to observe and serve their other gods, demons, spirits, and ghosts of the dead—laying a firm groundwork for God’s displeasure. However, the temples and idols devoted to these things rarely lasted because the city was built on a fault line. 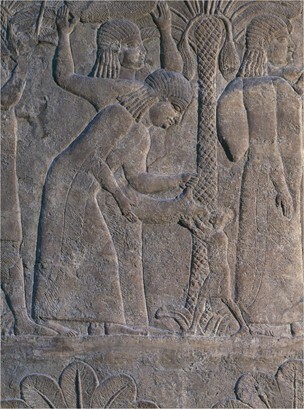 Due to the fault line, over the course of Nineveh’s thousands of years, there were often earthquakes which destroyed the works of the people… even those works meant for the worship of their goddess—such as in 2260 B.C., when the temple to Ishtar had to be rebuilt due to the prior temple’s destruction in an earthquake. Interestingly, despite the long history of the city, it is believed that it was not a walled city until the 1,200’s B.C., when King Shalmaneser I built not only the walls, but a secondary palace. And, unlike the temples, we believe those walls and the walls built by Sennacherib and his descendants did last until the 612 B.C. three-month siege and subsequent annihilation of the city by the Babylonians. 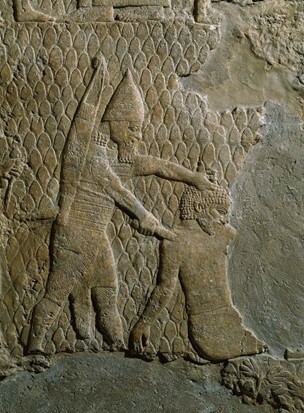 Yet, Nineveh, besides its importance to the Assyrians, held a strong biblical importance. First, by being founded by an early descendant of Noah, later by its mention during the life of Jesus, and finally, and perhaps most importantly, by prophetic importance—the prophetic importance based on the words of the prophets Jonah and Nahum… of the troubles that would come to Nineveh due to her evils. 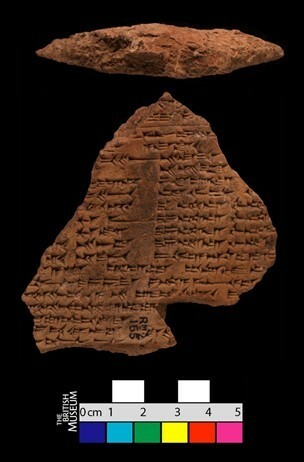 Given the prominence of the city in its day, the finding of the library only further proves the political value of the city, as well as the value King Ashurbanipal and others had who believed in keeping records and knowledge via the written word. 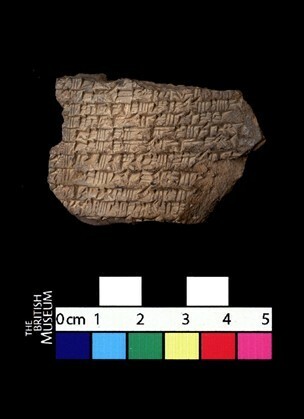 Yet, in addition to these often flat documents found in the library of Ashurbanipal, Nineveh contained many prisms often speaking of the exploits of Assyria, particularly of her kings. 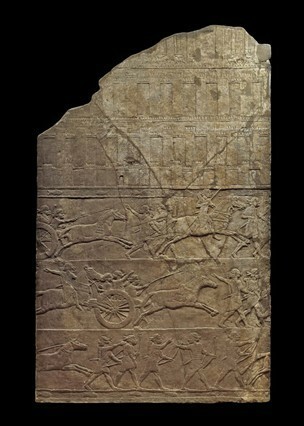 These prisms often recounted military exploits, such as the prism below, which speaks of the king of Assyria, Sennacherib, having trapped the king of Judah, Hezekiah, like ‘a bird in a cage.’ However, these prisms do not always tell the full story… for losses in battle, particularly if an entire military exploit failed, are rarely mentioned. For instance, with the prism below, Sennacherib fails to speak of his success or failure to actually take Jerusalem, and since he would normally have boasted, it is more likely that the biblical account of his failure is true… and that God defeated 185,000 Assyrians with one angel, causing Sennacherib to flee to Nineveh to meet his end at the hands of his sons. (2 Kings 19:35-37; Babylonian Chronicle; Nineveh Prism of Esarhaddon). Yet, even after the death of Sennacherib, the city and his palace lived on until 612 B.C., with Nineveh having spent close to one hundred years as Assyria’s capital and main kingly residence. In fact, with the reign of his grandson, Ashurbanipal—who built the famous library—the city increased further in grandeur, as did the temples to the goddess Ishtar, and the palace itself. Indeed, the remains of the palace—primarily the creation of Sennacherib—though small in size due to the destruction of Nineveh, are beautifully carved and a testament to the city’s physical beauty—a stark contrast to the ugly violence practiced in many of her cultural aspects. Given the evils and brutality of Nineveh—despite its literary, technological, artistic, and military achievements—it is no wonder that most biblical mentions of the city reference its evil culture and the destruction of Nineveh to come. And indeed, while the advent of modern archaeology has allowed the city to be remembered for more than its destruction, its destruction is still perhaps its ‘greatest’ legacy. In the final part of this two-part series, we will explore the biblical significance of Nineveh and what we, as the One New Man, can learn from her past and implement today.